We continue our journey into the fantastic world of Mario and we will talk about an outstanding running game featuring our great hero off course, where he is on a constant run away course to escape the chasing Bowser in his flying cup. 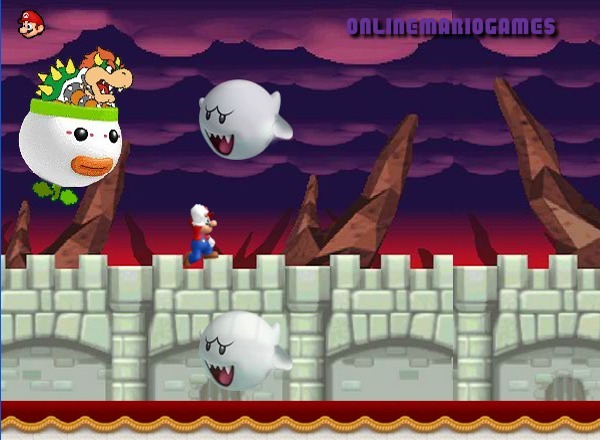 Mario running challenge game continues the previous episode Mario Magic World where after successfully retrieving the five Magic Stars our beloved friend now must bring them back to the Mushroom Kingdom castle. Don’t believe that because the stars are now in Mario’s hand all things end here, because there is a long way back home filled with dangerous traps and angry enemies that will put all their effort into stopping you and also Bowser will hunt like a mad dog from his flying cup feeling extremely furious for defeating him. The game is built around four levels full of action all featuring different graphics and mixed obstacles and enemies. 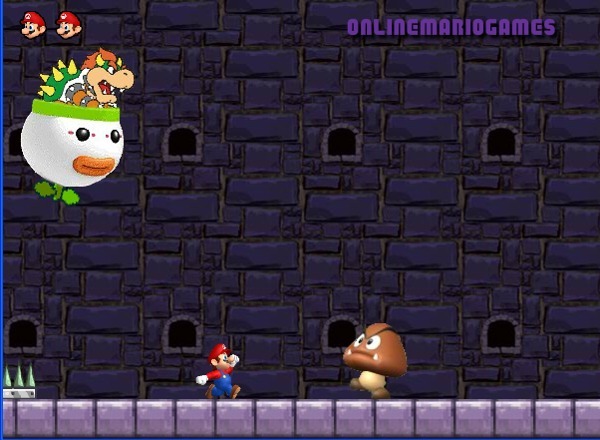 First level reveals Mario when trying to escape Bowser’s lair running and jumping over spikes, pipes and high walls as well as avoiding being caught by the patrolling Goombas. In order to finish the level Mario needs to get safe in the mini castle at the end of the stage. 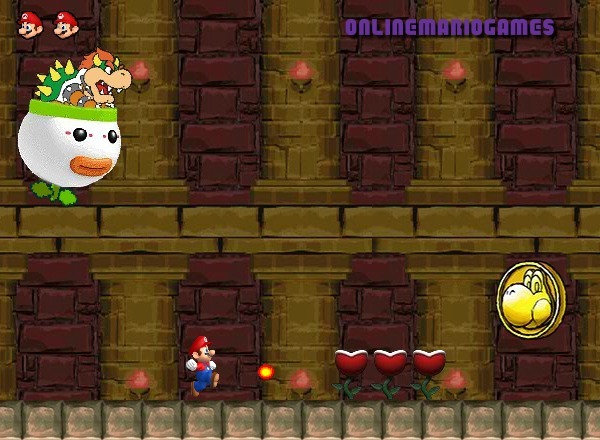 Starting with second level Mario will be able to shoot fireballs in order to clear some obstacles from his way such as the carnivore plants, yet the action intensifies and the things begin to get messy. 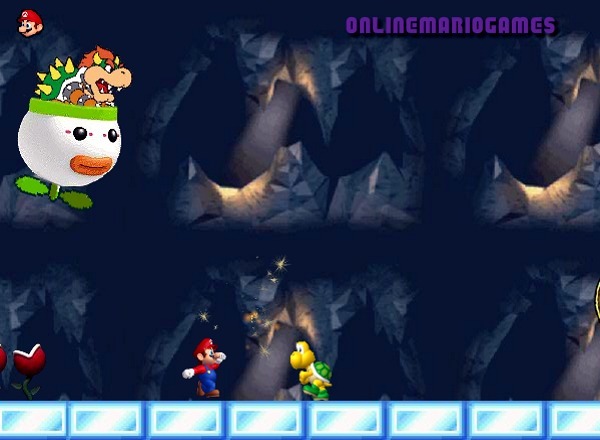 In the third level you must guide your hero in the underground frozen world where great care needs to be taken in order to reach the safety offered by the mini castle, as Koopa Troopas are running extremely fast towards you and the succession of obstacles is also fast so good skills are require to make fast and precise jumps. If you manage to reach the last levels here you will face the giant Boo phantoms, more deadlier traps and more determined opponents but as they say great challenge are for great heroes so I’m quite sure the players will love to try their skills. At the end I must say that I felt really excited when I first saw this game and after a few tries I have managed to complete all the levels and really got to master it.